This is the Troop 501 File Cabinet. Here, you will find all kinds of documents that we use. To help you find appropriate files, they are grouped for their intended audience. Just like a physical file cabinet, files are grouped into different areas, or “virtual drawers.” If you have any questions, don’t hesitate to ask! Leaders – Forms that are completed by leaders. The forms and documents available on this site come in a variety of different formats. Most are in Portable Document Format (PDF), and chances are you already have Adobe Acrobat Reader installed on your device. However, if you do not, you can download it from Adobe.com. Some of these documents are also in Microsoft Power Point (.ppt) and Microsoft Word (.doc) format. If you do not have Microsoft Office, or the equivalent Microsoft applications installed on your computer, you may download LibreOffice. LibreOffice is a FREE, high quality, professional Open Source office suite alternative to Microsoft Office. Application (Youth) – All youth are required to complete a Youth Membership Application, in order to join the Boy Scouts of America. In addition, each Youth Application must be accompanied by a Troop Resource Survey completed by each adult in the Scout’s immediate family. We realize that not every parent may be able to register as a leader with Troop 501, but we view each and every family to be an indispensable resource for our program. Application (Adult) – All adults are required to complete an Adult Membership Application, and consent to a background check, in order to join the Boy Scouts of America. In addition, all potential Leaders must submit a completion certificate indicating successful completion of Youth Protection training, with the completed Membership Application. Merit Badge Counselor Application – We recognize that the parents of our Scouts have a wealth of information and utilize a broad range of skills in their vocations, hobbies, and other activities. These skills and experience can be used to help our youth experience new activities, and learn new skills. 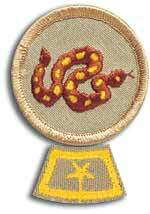 There are many merit badges offered by the Boy Scouts of America. To review the current offerings, review the requirements, and select badges that cover areas that you have acquired specialized skills, knowledge, and experience, please check out Meritbadge.org (this is also an excellent resource for the advancement of Scouts). Be sure to attach your Adult Application and certification of completion of Youth Protection training (above). Troop Resource Survey – So, you just don’t think that you can dedicate the time, or have expertise in any particular area (though everyone has some expertise in some area)… We still need you! We realize that not every parent may be able to register as a leader with Troop 501, but we view each and every family to be an indispensable resource for our program. Annual Health and Medical Record – This form must be completed and submitted annually by all Scouts, Leaders, and participating adults. It is kept on file, and is available at most activities. In order to provide better care for its members and to assist them in better understanding their own physical capabilities, the Boy Scouts of America recommends that everyone who participates in a Scouting event have an annual medical evaluation by a certified and licensed health-care provider — a physician (MD or DO), nurse practitioner, or physician assistant. Providing your medical information on this four-part form will help ensure you meet the minimum standards for participation in various activities. Note that unit leaders must always protect the privacy of unit participants by protecting their medical information. Parts A, B, and C include the physical exam that is required for participants in any event that exceeds 72 consecutive hours, for all high-adventure base participants, or when the nature of the activity is strenuous and demanding. Service projects or work weekends may fit this description. Part C is to be completed and signed by a certified and licensed heath-care provider—physician (MD or DO), nurse practitioner, or physician assistant. It is important to note that the height/weight limits must be strictly adhered to when the event will take the unit more than 30 minutes away from an emergency vehicle, accessible roadway, or when the program requires it, such as backpacking trips, high-adventure activities, and conservation projects in remote areas. Activity Consent Form – This form is to be completed and submitted, annually, by all Scouts. Troop 501 Woggle – A woggle is a means by which a necker (neckerchief) is secured about the neck. There are many slides available, commercially, through the Scout Shop and other sources, and of course, Scouts are also known to create them by hand from a wide variety of material, to include leather, and whittled wood. In Troop 501, we have a standard, Troop Woggle. It is a Turk’s Head knot, fashioned from approximately 48 inches of black cord. These are the instructions for making the Troop 501 Woggle. Black, 1/8″ polyester cording or paracord works well for this. Uniform Inspection Sheet – Scout – This form is useful for figuring out where all those pesky patches and badges go on the the Scout’s uniform. The Senior Patrol Leader conducts Uniform Inspections, regularly. Uniform Inspection Sheet – Leader – This form is useful for figuring out where all those pesky patches and badges go on the the Scout Leader’s uniform. The Senior Patrol Leader conducts Uniform Inspections, regularly, though leaders will be inspected by the Scoutmaster or his designee. Menu Planner – This sheet is used to plan the menus for nutritious and delicious meals during our campouts. The shopping list is developed from it. Duty Roster – This is the Duty Roster form. This form is required to be completed for each campout. Scouts assign duties within the patrol. Outing Checklist – This checklist should be used by each patrol for each outing. Patrol Roster – This is just a simple Patrol Roster. It is required for some district/council events. Patrol Box Inventory – Inventory Sheet for Patrol Boxes. Campsite Inspection – This form is used to score patrols on their campsites, based on several criteria. Patrol Competition Score Sheet – This is the official Troop 501 Patrol Competition Score Sheet. The competition is points-based, and cumulative through the month. National Honor Patrol Award Tracker – The very best patrols exhibit enthusiasm, teamwork, and camaraderie – that special spark known as patrol spirit. The National Honor Patrol Award is given to patrols whose members make an extra effort to have the best patrol possible. Your patrol can earn the award by doing the indicated tasks over a period of three months. It really is not difficult, but it is a lot of fun! Every patrol should be a National Honor Patrol! Your patrol may earn multiple award patches by meeting the requirements in additional 3 month time periods. Historic Trails Program & 50-Miler Award – Award Application for the Historic Trails Program and 50-Miler Award (please note that these are two different awards). PLC Notes – This form will aid the Troop Scribe, SPL, ASPL, PLs, and APLs in taking notes at the Patrol Leaders’ Conference. Troop 501 Meeting Plan – Troop Meeting Planning Sheet for Troop 501 Troop Meetings. Sample Troop Meeting Plan – As the name suggests, this is a sample Troop Meeting Plan. Troop 501 emphasizes two advancement tracks: First Class in First Year, and Quest for Eagle. Unlike rank advancement in Cub Scouts, Boy Scouts can work on the requirements for Tenderfoot, Second Class, and First Class simultaneously. As a matter of fact, the later ranks (Star, Life, and Eagle) all require a specific number (and some types) of merit badges per rank. A Scout may earn merit badges at any time, though he is encouraged to complete the rank requirements for Tenderfoot through First Class before he focuses primarily on merit badges. First Class Tracking Sheet – If a boy attends each troop meeting, troop activity, campout, and Summer Camp, he should attain the rank of First Class by the September following the year he joined. Some Scouts move at a faster pace, and some may progress at a bit slower pace. This First Class – First Year tracking sheet is used by the Scout to record his progress toward First Class rank during his first year of Boy Scouting. Merit Badge Application (Fillable) – While a Scout who has not yet attained the rank of First Class should focus primarily on obtaining this rank, he is permitted to work on merit badges, which will be necessary for advancement in ranks later on the Quest for Eagle. Often referred to as a Merit Badge Card, Scouts must download and complete the card, and obtain the signature of the Scoutmaster before beginning work on any given merit badge. There are different forms of the application, this one is the official, National Council version. Merit Badge Application (Fillable) – Often referred to as a Merit Badge Card, Scouts must download and complete the card, and obtain the signature of the Scoutmaster before beginning work on any given merit badge. There are different forms of the application, this one is the official, National Council version. Eagle Board Procedures and Flow Sheet – This document will guide you in final steps of preparing for your Eagle rank. The River Trails Eagle Board meets every last Thursday of the month at St. Luke’s United Church of Christ, 6610 St. Luke’s Church Road, Imperial, MO 63052. The motto for the Boy Scouts is “Be Prepared.” A Scout must “Be Prepared” before appearing in front of the Eagle Board. A Scout is responsible for calling to set a date and time for review no later than 10 days before review date. Gary Hartmann is the River Trails contact person for Eagle Board. Scouts can contact Gary at 636-937-0155. Unfortunately no two of these list exactly the same requirements. So how do you know which requirements to follow? The Eagle Project Checklist combines all of the requirements onto one page. Where there are differences, it uses the wording from the more important source. The Eagle Parent Guide explains the Eagle Scout Project process, and provides helpful hints to the parents of Eagle Scout Candidates. Eagle Scout Service Project Workbook, No. 512-927 – (To use this file, you must right-click, and select “Save link as…” from the drop-down list; then select where you want to save the document.) As a requirement, a Life Scout must plan, develop, and give leadership to others in a service project helpful to any religious institution, any school, or your community. (The project should benefit an organization other than Boy Scouting.) Completion of this workbook, while required, will help the Scout organize and execute his project. A Life Scout may begin planning and working on his Eagle Service Project at any time following the presentation of his Life rank. He need not wait until he has completed all required merit badges. Though the Eagle Scout Service Project Workbook specifies that no other requirements, worksheets, or addenda can be added to the Eagle Scout Service Project Workbook, our District requires that each Eagle Scout Candidate complete the Benefitting Organization Guide and Agreement, and present the signature pages to the Eagle Board before any Eagle Scout Service Project will be approved. Eagle Application Worksheets (.ppt) – These worksheets will assist the Scout in gathering the required dates and information required to complete the Eagle Rank Application. Eagle Scout Rank Application, No. 512-728 – Once a Scout has completed his Eagle Scout Leadership Service Project, served his troop in a position of leadership for at least six months as a Life Scout, completed his remaining merit badges, and is ready to appear before the Eagle Board of Review, he completes the Eagle Scout Rank Application. Eagle Palm Application, No. 58-709 – After an Eagle Scout has completed his Eagle badge, he may begin working toward earning palms for his Eagle award. Troop Resource Survey – At Troop 501, everyone is an important factor in the growth and development of our Scouts, and our program. We need you! We realize that not every parent may be able to register as a leader with Troop 501, but we view each and every family to be an indispensable resource for our program. Please complete the Troop Resource Survey, and return it at the next troop meeting. Merit Badge Counselor Application – We recognize that the parents of our Scouts have a wealth of information and utilize a broad range of skills in their vocations, hobbies, and other activities. These skills and experience can be used to help our youth experience new activities, and learn new skills. There are many merit badges offered by the Boy Scouts of America. To review the current offerings, review the requirements, and select badges that cover areas that you have acquired specialized skills, knowledge, and experience, please check out Meritbadge.com (this is also an excellent resource for the advancement of Scouts). Be sure to attach your Adult Application and certification of completion of Youth Protection training. Activity Consent Form – This form is to be completed and submitted, annually, for each Scout. GSLAC Merit Badge Counselor Application – We recognize that our leaders have a wealth of information and utilize a broad range of skills in their vocations, hobbies, and other activities. These skills and experience can be used to help our youth experience new activities, and learn new skills. There are many merit badges offered by the Boy Scouts of America. To review the current offerings, review the requirements, and select badges that cover areas in which you have acquired specialized skills, knowledge, and experience, please check out Meritbadge.org (this is also an excellent resource for the advancement of Scouts). Troop 501 Woggle – In Troop 501, we have a standard, Troop Woggle, it is a Turk’s Head knot, fashioned from approximately 60 inches of red cord. These are the instructions for making the Troop 501 Woggle. Progress Record – Boy Scout Leader Training Award – Use this form to record your progress toward completion of the Boy Scout Leader Training Award. Scoutmaster’s Progress Record for the Scoutmaster’s Key – Use this form to record your progress toward completion of the Scoutmaster’s Key. Unit Money Earning Application – This form is now REQUIRED to be submitted, and approved, prior to engaging in troop-level fundraisers.